I’ve thought about this letter for what feels like forever. This whole thing: adoption, a baby, you, are on my mind often and words can’t really express how deep and intricate my feelings are, but I’m going to try. I can’t imagine being where you are, this choice you’re making is heavy and real. I hope and pray that you’ll find calm and comfort, I know that even when you do, this will still be really hard. I have wanted to be a mother my whole life, really. The heartache I’ve felt losing pregnancies and trying again and again have a tight grip on my heart. But, the hope and surety I’ve felt as we’ve pursed adoption has helped heal my heart. I know there is a special spirit that is meant to be in our home. I know that we’re going to meet that spirit through adoption and that is a wonderful, beautiful, miraculous thing! And that will all happen because of you. I hope you found me, us, for a specific reason. I know a lot of people will read this but I hope you find it. You, a beautiful, selfless person who knows we are the right ones and we can figure all of this out together. I hope you find us soon. This is the most wonderful couple. I can’t wait to see them as parents! Thanks for featuring Kate and Landon! I just love them and can’t wait to see their journey unfold. kate and Landon will be awesome parents! I love this!!! Kate you will be the best mommy. 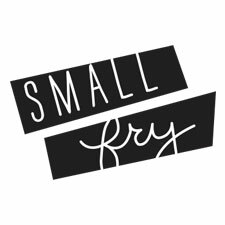 Thank you, Small Fry for talking about adoption! It’s been sweet and tender to read all these entries. This couple amazes me. They are brave, funny, kind and good. Can’t wait for them to grow their family! Prayers for you guys along this journey. A child would be so beyond blessed to be in your home. my this letter find that special person. hands down, my very favorite people around. they truly will make the most wonderful parents. The fact that landon took this picture is a sign of true love. The man does not like taking pictures. kate! darling girl, darling couple. they deserve all the good things. Ever since I was young, I recognized qualities in Kate that set her apart. Now that I’m older, I have recongized those qualities as characteristics of a Mother. Kate and Landon deserve someone to pass their overwhelming amounts of love on to. They truly were meant to be parents! this is so so beautiful. you’re an exceptional woman and i hope the wonderful woman who carries your baby will find this. I have known Kate and her family for several years and they are all wonderful people. What a blessing for a child to grow up in this loving family! !